Niels Bohr – Biographical information, Bohr model, philosophy and more. Bohr Model – Origin, Electron energy levels, Tydberg formula and more. Atomic Theory – An example from the page: A scientific theory of the nature of matter, which states that matter is composed of discrete units called atoms. Old Quantum Theory – Basic principles, examples, De Broglie waves and more. Quantum Mechanics – History, mathematical formulations, and more. Periodic Table – Offer a large chart and information. Biography.come: Niels Bohr: Scientist, Physicist – Short article includes – Biographical information about his early life, Nobel Prize winner info, and more. Nobel Prize.org: Niels Bohr – Article offers a time-line of his life and accomplishments in written format. 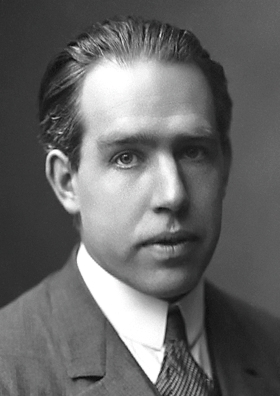 Famous Scientists: Niels Bohr – Biographical information, facts, and pictures about Bohr’s life and accomplishments. This article is longer then some of the other links listed. Wired: The Development of the Atomic Model – Article about the development of the atomic model and how it changed. A video is available at the end of the article. The Physics Hypertextbook: Atomic Models – Article is in an outline form and discusses atomic models of: Rutherford, Bohr, Schrodingder, Pauli, and Dirac and includes mathematical formulas. APS Physics: Color Me Physics – Free downloadable and printable activity book featuring Abigail Atom – brought to you by the American Physical Society’s Public Outreach Group. ORAU: Center For Science Education: Build An Atom – Learn about protons, electrons, neutrons, and how to build an atom. Phet: University of Colorado Boulder – Interactive Simulation: Build An Atom Click on the arrow, download or embed it to use the program to build your own atom and find out what you built or play a game. Funschooling & Recreational Learning: Scented Play Clay – Leave out the scent or keep it in to build toothpick atom models. YouTube: Niels Bohrs Playlist – Biographical information about Niels Bohrs, and info about the atom and quantum physics.